I'm making my garden a peaceful scented place of gatherings, where I can feel the connection with the beauty and mystery of living plants. Upon entering my garden and once the journey in starts, the external senses: seeing, smelling, tasting and touching are delighted by the fragrances that sweep away to the evergreen showy leaves and flowers of the plants. I remembered those days, Thomas D. Church's words which inspired me long time ago: "The only limit to your garden is the boundaries of your imagination". 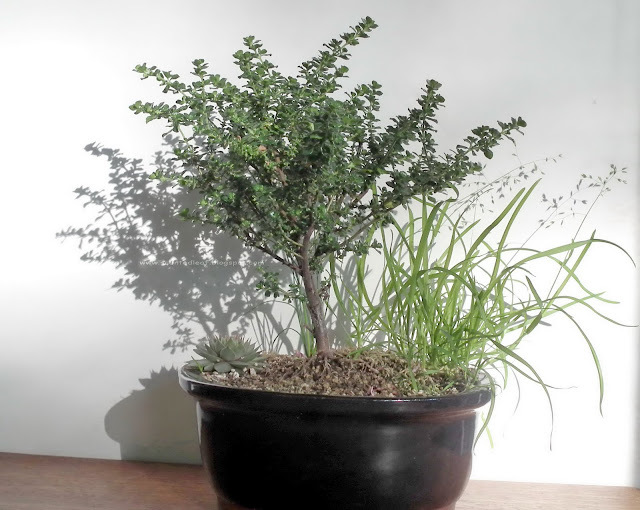 My garden is an atypical world passing through my fingers, with bonsai, saikei and mini-gardens surrounded by accent plants, moss, and rocks, in a constant changing, moving and growing. How wonderful to always walk through a scented garden full of surprises ;-). I watch the leaves and blossoms tossing their sweet perfume, a wonderful ozony blend of lemon, rose, apple, nutmeg, cinnamon, mint and eucalyptus when soft breezes blow through. 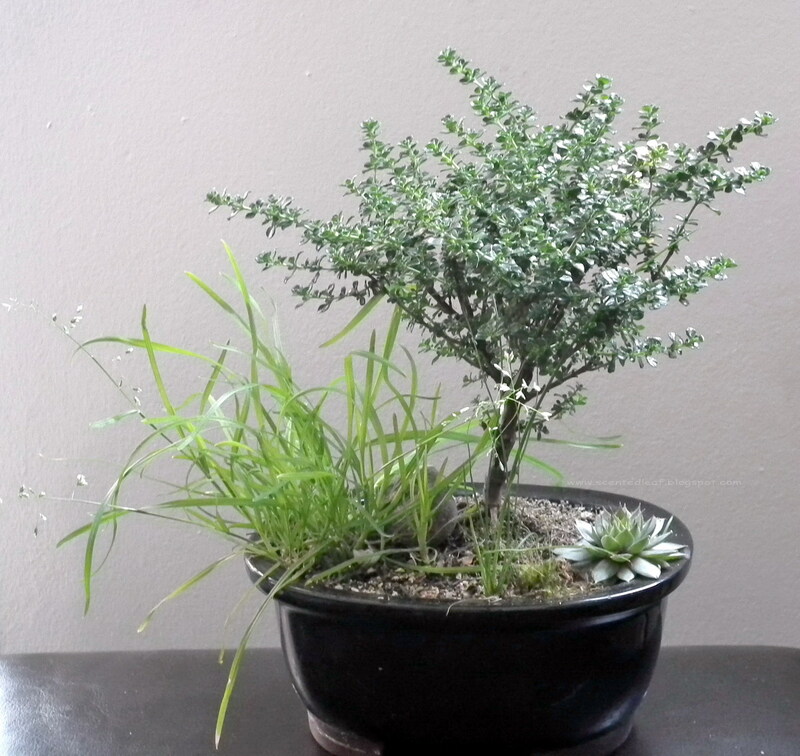 The last notes are released by my little "Alpine Bush Mint" bonsai, or "Prostanthera Cuneata" bonsai, member of the "Lamiaceae" family. 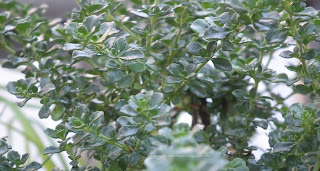 It is a very tolerant evergreen plant, frost hardy, easy to care, with woody stem and tiny dark green leaves. 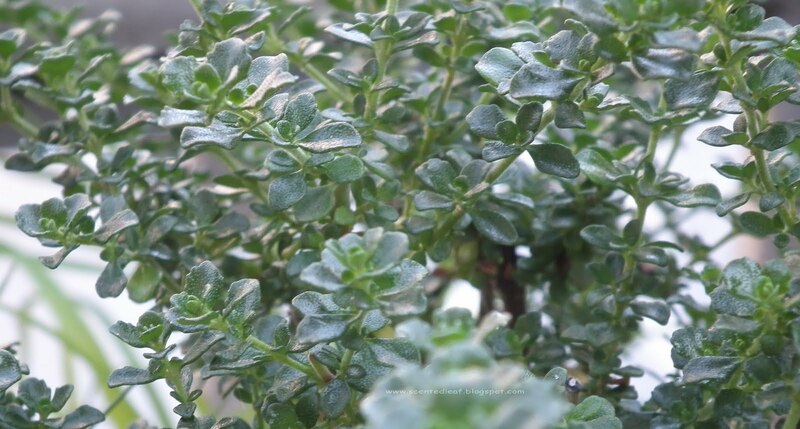 You can maintain its shape so easy, once you finished its design, because is a slow-growing plant which respond well to pruning. 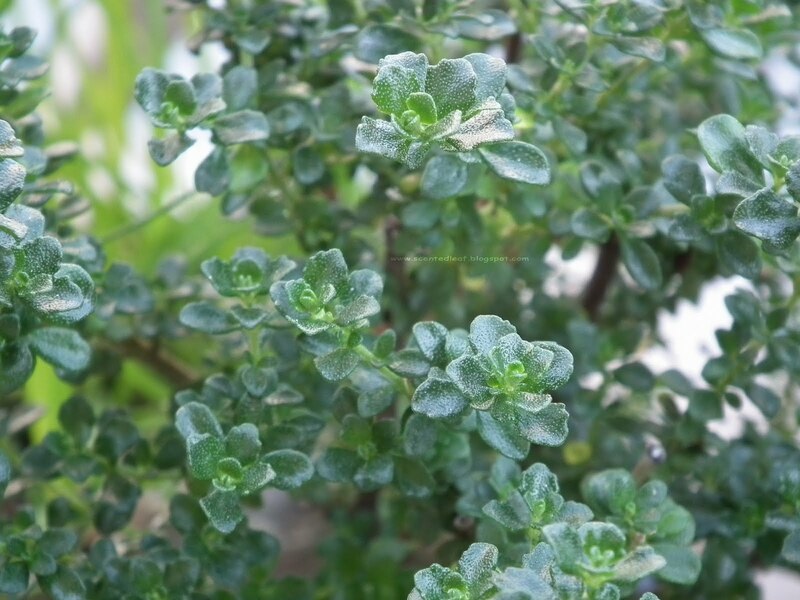 The foliage has a strong minty-eucalyptus aroma when crushed, as the name suggests, and can be used to flavor jellies or seafood dishes. 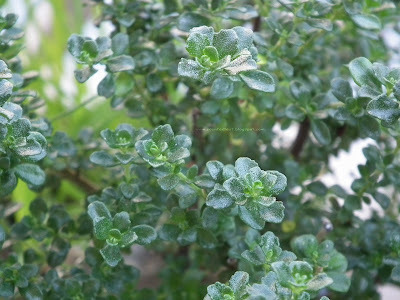 It blooms with white flowers with colored spots in summer, very attractive for bees and butterflies. I have gotten to really love this mint-scented dwarf bonsai!